I just got a call from YSPD. 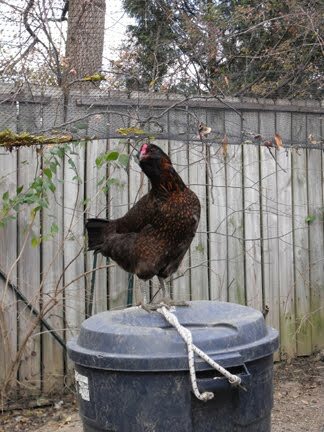 They have received a report of chickens running loose through backyards on Livermore St. between Kurt and Herman. Mine are all accounted for. If you are missing any chickens, better go down there and round them up. Wherever chickens are outlawed, only outlaws will have chickens. just fyi...It's Kurt Street, I think. Anybody hear any more about the chickens? Did they get back home? We need a news update.